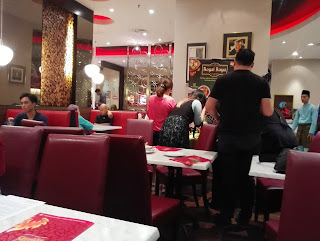 My family and I love to dine at Kenny Rogers Roasters (KRR) because the roasted chicken is so tender and delicious. My son loves their macaroni and cheese the most. The year for the Ramadan, KRR has a special Royal Raya menu and take home feast. Kenny Rogers ROASTERS (KRR) introduces its new Royal Raya Meal, in time for the holy month of Ramadhan! 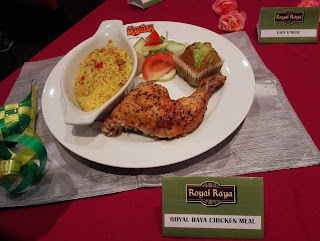 The delectably tasty Royal Raya Chicken Meal encompasses Kenny’s Quarter Chicken topped with classic mushroom gravy, complemented by Majestic Rice, the all-new Jewel Salad and a Kenny’s Home-made Muffin. 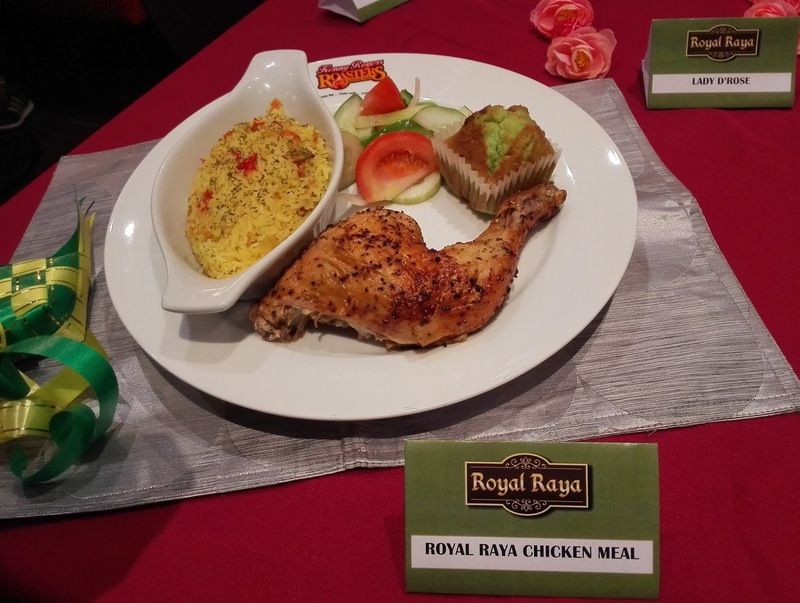 The tantalising Royal Raya Meal is available in two meal options, the Royal Raya Chicken Meal and Royal Raya Soup Meal (Kenny’s Quarter Chicken, Majestic Rice, Country-style Chicken Soup, Kenny’s Home-made Muffin) from RM22.90 onwards. 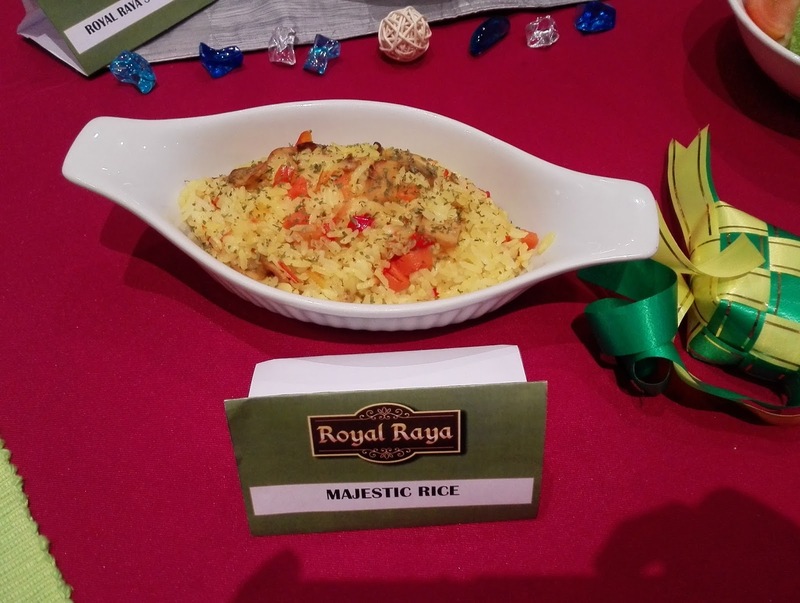 The Majestic Rice is one to look out for its aromatic blend of cumin and turmeric herbs, and freshly diced vegetables infused with jasmine rice baked to perfection. Served alongside the meal is a new entry by KRR, The Jewel Salad comprises a healthy and refreshing mix of tomatoes, cucumber, bell peppers and onions generously doused with soy sauce sesame dressing. Packed with flavours, guests have the option to choose between the original mushroom, black pepper or smoked BBQ gravy to go with the wholesome Kenny’s Quarter Chicken. Further sweeten your meal with Lady D’Rose, a flavour of rich rose with fresh milk that is always a traditional favourite to quench, or Summer Knight, a citrusy blend of fizzy citrus crush enhanced with sweet flowery rose syrup. Left is Zulkifli Jaafar, Marketing & Communications Manager of Berjaya Roasters (M) Sdn. Bhd. 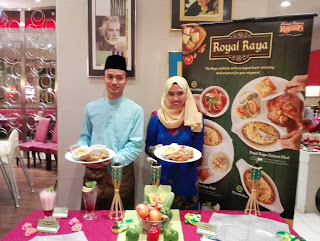 and a KRR team member introducing the Royal Raya Meal. 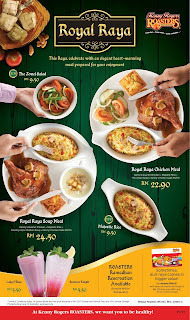 “We are very pleased to introduce another hearty meal befitting the upcoming Ramadhan and Raya festivity. 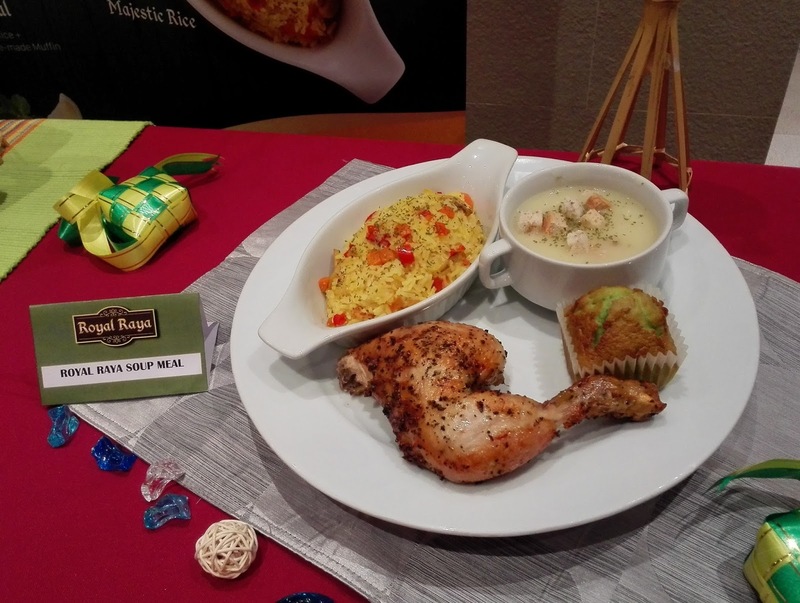 Breaking fast with a wholesome meal is essential – we want everyone to be healthy in time for the Raya celebration. 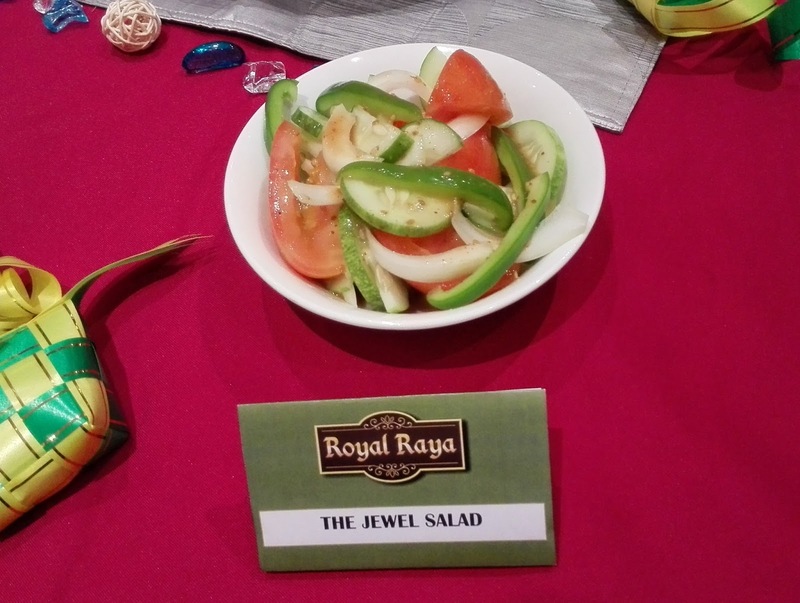 As advocates of healthy eating and healthy living, we believe in providing our valued guests with a wide variety of healthy options that is also delicious,” quoted Zulkifli Jafar, Marketing & Communications Manager of Berjaya Roasters (M) Sdn. Bhd. In addition to the Royal Raya Meal, guests can save up with the Take-it- Home Feast this Ramadhan! 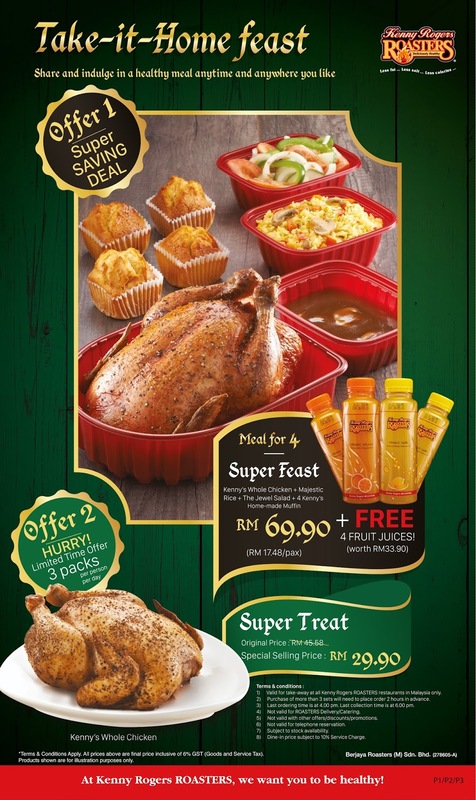 Guests have the option of getting the Super Feast which comes with a Kenny’s Whole Chicken, Majestic Rice, The Jewel Salad and 4 Kenny’s Home-made Muffins worth RM69.90 and get 4 Fruit Juices (worth RM33.90) for free! Prefer having Kenny’s Whole Chicken on its own? 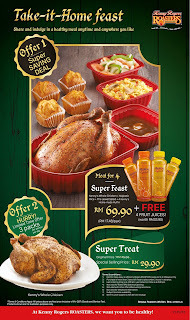 Then order the Super Treat at a special price of RM29.90 (Original Price: RM45.58) limited to 3 packs per person per day for a limited time offer. For those who wish to sit back and relax at home after a long day, the ROASTERS Ramadhan Reservation (RRR) is available! Enquire within the nearest KRR restaurant today. For more information on Kenny Rogers ROASTERS, kindly contact 03 - 2119 9888. You can also visit www.krr.com.my or connect to www.facebook.com/krrmalaysia. Yes, great value and healthy food. Do check it out. 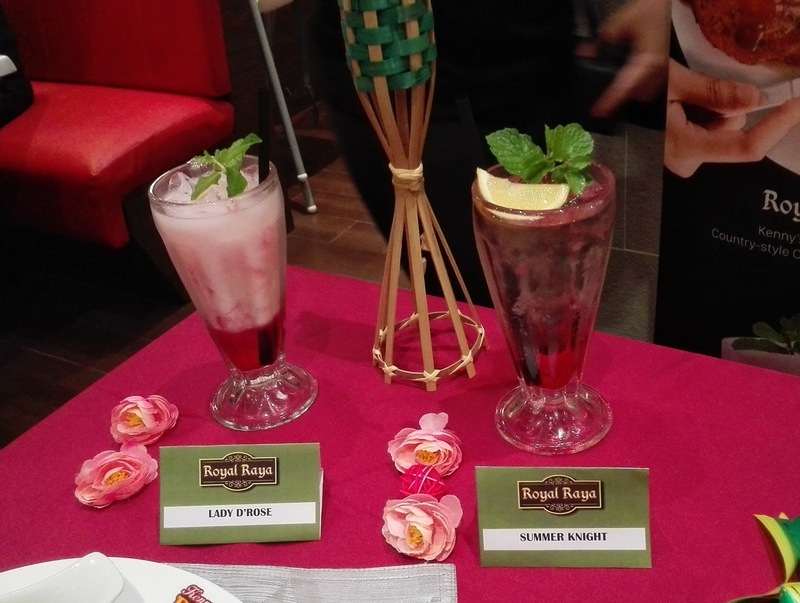 This KRR Royal Raya meal promotion is only until 17th August 2016. wow!!! I like to KRR!!! Big fan here!!! !Will check it out the latest menu and promotion!! 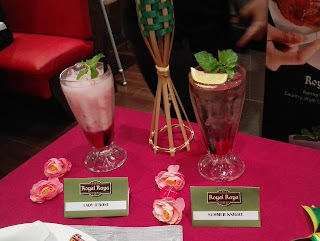 I miss KRR food. Will try out their promotion soon. The majestic rice is really tasty. I wish KRR would have this even after the promotion.